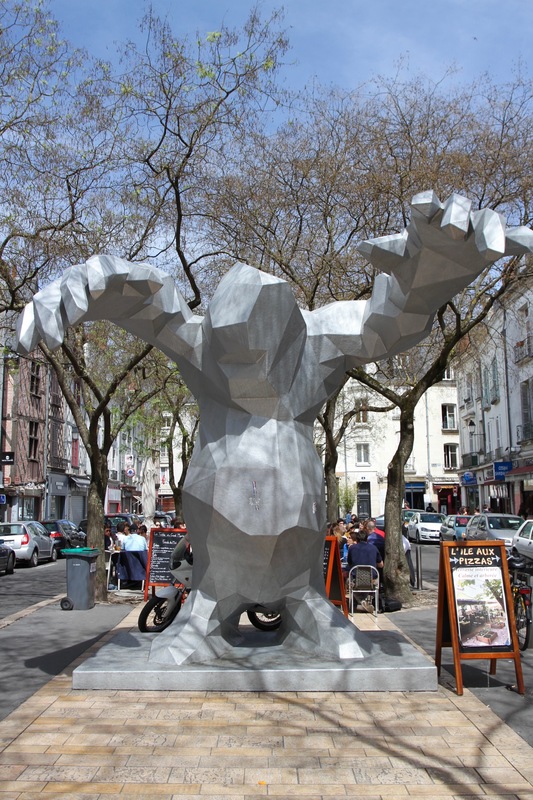 It was during our fifth circuit of its tightly packed city centre that I began to regret coming to Tours. How hard can it be to find a parking space? To be fair, our sat nav’s determination to take us down pedestrianised streets wasn’t helping, but it really shouldn’t be this tricky. We finally found an underground car park and, emerging from the stairwell into a fantastic food market, all was quickly forgiven. 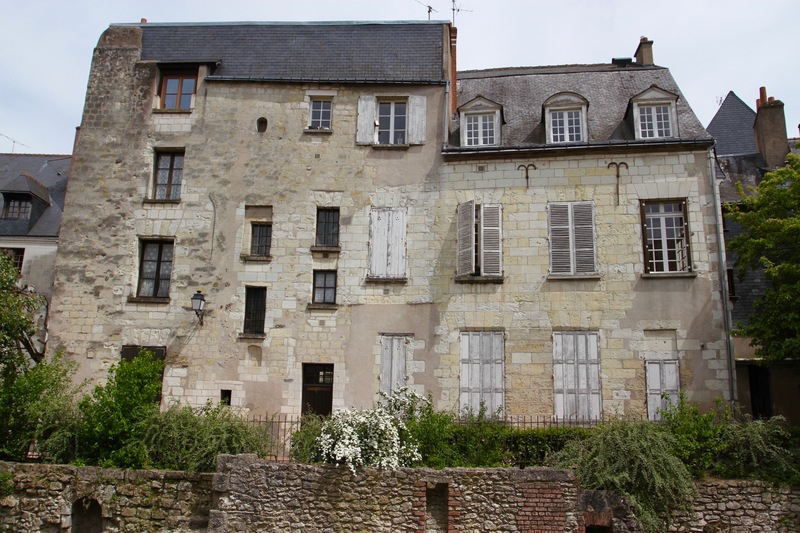 Walking through the streets on the way to our hotel, it was clear that Tours was a vibrant and attractive place. 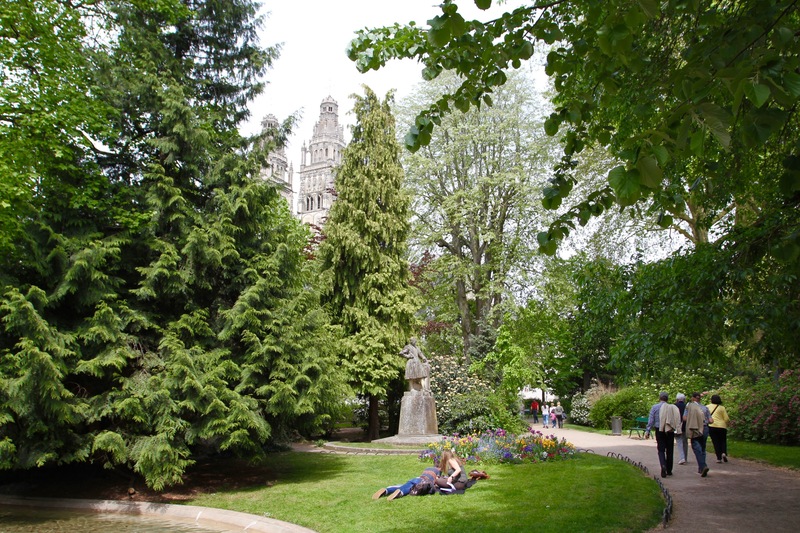 Around 25,000 students add to the vibrancy, and painstaking reconstruction following the Second World War has restored Tours’ architectural splendour. No mean feat, around a quarter of Tours was destroyed during the German offensive in 1940 and the Allies’ counter offensive in 1944. In June 1940, Tours was briefly home to the French government, led by Paul Reynaud, as it retreated south in the face of the German advance. It saw an extraordinary meeting between Reynaud and Winston Churchill. Fearing isolation, Churchill was desperate to ensure that France remained in the war and didn’t negotiate a deal with Germany. Taking place only a few days after the Dunkirk Evacuation, with the victorious German army bearing down upon Tours, those must have been tense, chaotic days. Paris fell to the Germans during Churchill’s conference with Reynaud, on June 14. Eight days later France had no choice but to surrender, but not before much of Tours had been burned to the ground by incendiary bombs. Tours was also central to another major turning point in Western European history, the Battle of Tours in 732. It was here that Charles Martel, the ruler of the Christian Frankish Kingdoms defeated invading Muslim armies advancing from their Spanish heartland. Although it would be a long time before the Reconquista in Spain, it’s considered the battle that prevented the further advance of Islam across Europe. 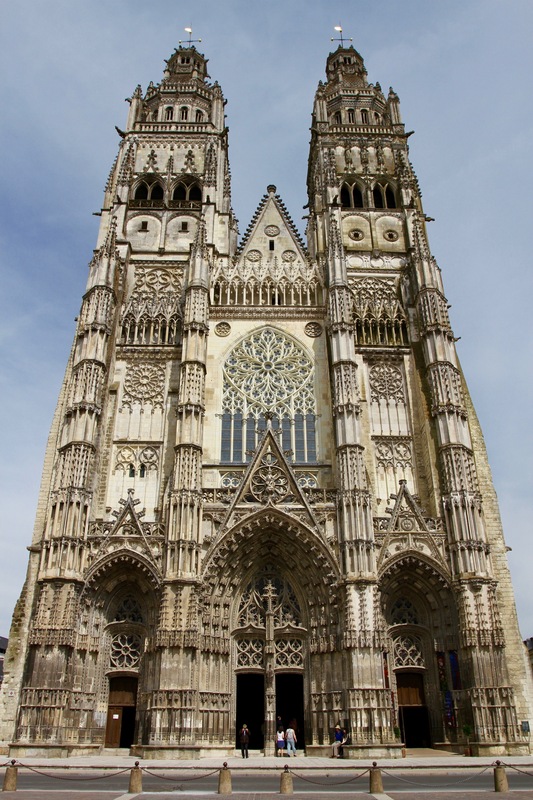 The outstanding sight in Tours is undoubtedly the Cathedral of Saint Gatien, a truly magnificent building begun in the 13th century and completed in the 16th century. The overwrought Gothic frontage towers over the surrounding streets. The interior is equally glorious, with fabulous stained glass windows and ornate tombs, including that of two children of King Charles VIII and Anne of Brittany. The cathedral is considered to be one of the finest in France. Perhaps not quite on a par with Reims or Notre-Dame de Paris, it’s an astonishing building all the same and alone worth the effort of making the trip to Tours. Plus, it only attracts a fraction of the number of tourists, which makes the experience far more rewarding. 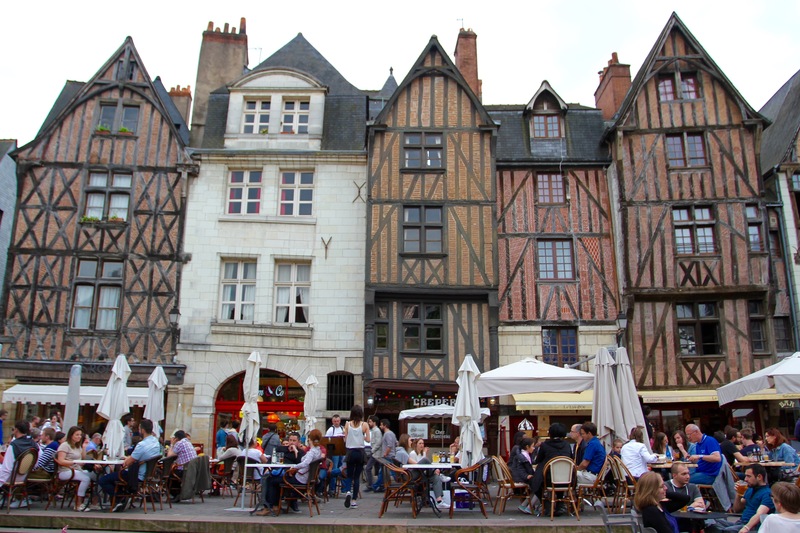 The heart of the old city is Place Plumereau, a small square surrounded by wonderful half-timbered 18th century houses. It’s home to several good cafes and had a lively atmosphere day and night. The Friday night we were there seemed particularly lively. 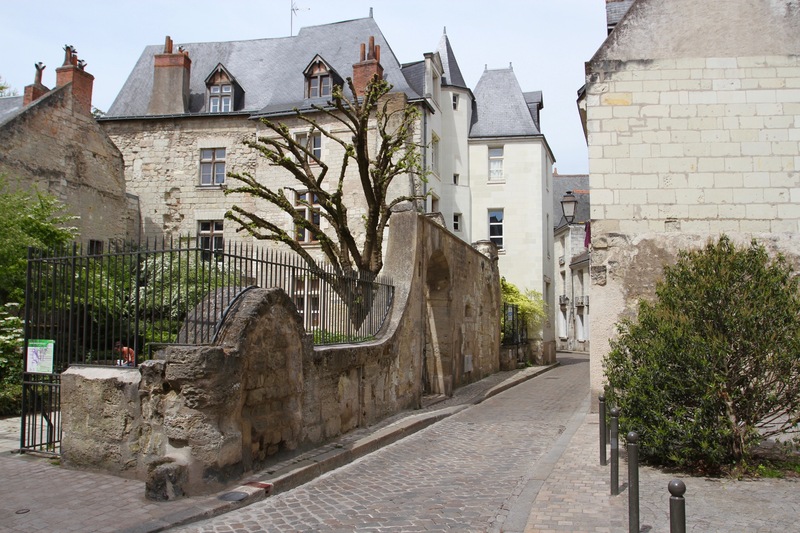 Spiralling off Place Plumereau, several streets lead you further into the warren of the historic old town. 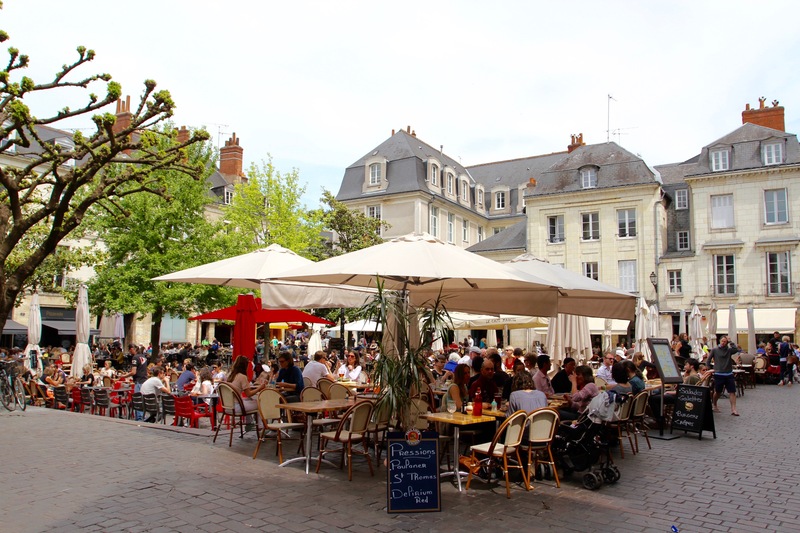 This area, the Vieille Ville, is pedestrianised and great for leisurely strolling. 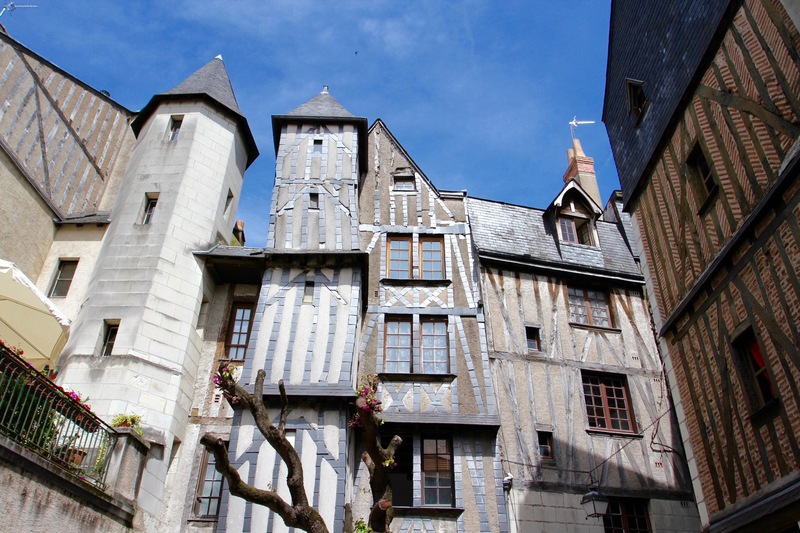 We only had a day in Tours, so we didn’t see everything we’d hoped to. 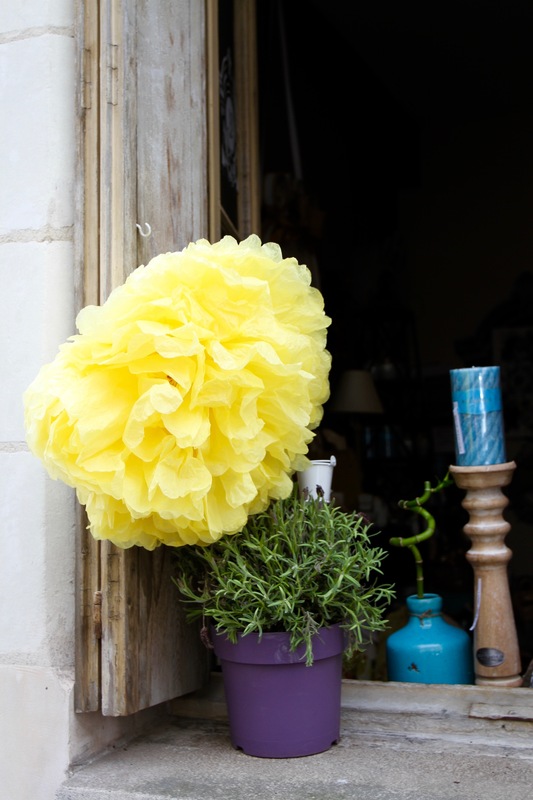 That said, wandering the city streets was a genuine pleasure, and it’s a place that we’d definitely go back to, if for no other reason than that it’s the perfect base from which to explore the villages and château dotted around the western Loire Valley.